In all Kurdish-speaking regions, the national language is the principal language of public services, media, and education. An exception are the regions in northern Iraq that have been under the control of the Kurdish Regional Government since the 1991 Gulf War. The use of Kurdish in public was traditionally discouraged and even banned at times. In Turkey, restrictions on the use of Kurdish in publications, public performances and media have only recently been relaxed. At the same time, many of the Kurdish regions are remote and deprived areas, with little day-to-day contact with official institutions and often a very high drop-out rate from schools. 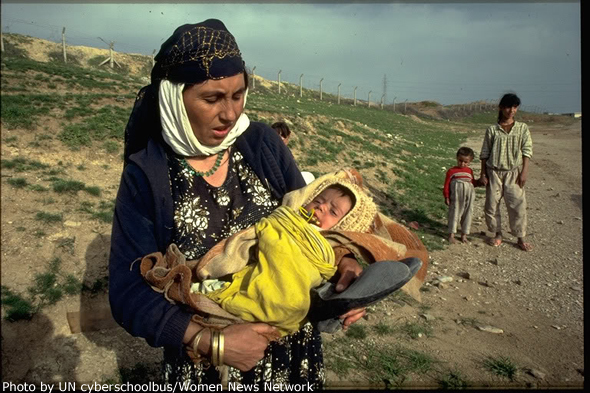 As a result, many individuals in rural and remote Kurdish communities are still monolingual in Kurdish, and illiterate. Kurdish literary movements emerged partly as clandestine activities, partly in exile, already in the first part of the twentieth century, creating three distinct traditions of writing: The first, with its centre in Turkey and the community of Kurdish-Turkish émigrés, employs the Kurmanji dialect based on the variety of Botan-Hakkari and the Roman script, using an alphabet that resembles that of modern Turkish. The second and most prolific, with its centre now in Central Iraq, uses the Sorani dialect based on the variety spoken in Suleimanye and the Persian-Arabic script, modified to a phonemic alphabet through addition of a series of symbols representing vowels. The third is rather marginal, and stems from efforts during the Soviet era to codify Kurdish using the Cyrillic script, based on the Kurmanji variety of Yerevan in Armenia. While the two main literary strands have long been mutually inaccessible due to the use of different scripts, the expansion of Kurdish satellite broadcasting (both from the Middle East and from western Europe) has promoted familiarity with the oral forms of both varieties.